I sought treatment for my chronic migraines and neck pain. I enjoy the style of manipulations, the percussor, and the cold laser therapy. I also enjoy how thoroughly questions are asked about my current pain levels and treatment. The overall care is truly holistic with the patient in mind. I feel comfortable speaking to the staff about my treatments. I would highly recommend the treatments to family and friends. Since the beginning of my treatment my quality of living has significantly improved and my overall pain has been reduced greatly over the past 7 months. I am able to function at work and get back to my regular exercise regimen. I also like the attention paid when a patient is sick with a cold and the time that goes into ensuring recovery. We value our patients' experience at Wellness & Chiropractic Care. If you are currently a chiropractic patient, please feel free to complete the following Client Experience Questionnaire. The Questionnaire is in Adobe Acrobat format, and requires the free Acrobat Reader to view. Things in my life have changed significantly because of you and I want to take the time to Thank You for helping me get my body running as efficiently as possible, The care and time you have given to my treatment has made all the difference in the world. I no longer have extreme lower back pain or lower leg pain, I can jump out of bed in the morning vs waking up stiff and sore and my range of motion is much, much better. I just feel great all the way around! I rarely have a headache any more whereas before I could have one every day for a week. Anita has done wonders for me. I have been going to her for help over many years, stiff neck, back pain, flexibility. She is very dedicated to her goal of helping people. I am 85 years old and still working, hiking, walking, and I credit my ability to function very well to Anita. Many of my family members to to Anita also. 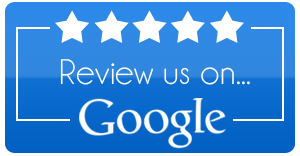 Anita Knopps chiropractic treatment was the best, and only lasting solution for my migraines. I have walked in her office with a migraine, and walked out pain free. Dr. Anita is an outstanding doctor who is truly interested in each person she sees. She is a woman of excellence who does all she can to educate you so you can be the healthiest you can be and feel your best. Her chiropractic skills are outstanding and I would recommend any one to her. If it is possible to be helped she will find a way. My husband and I feel very fortunate to be able to come to her.